Searching for a way to make your brand or your business stand out among the masses? This can be a constant challenge but can be overcome by using floor graphics. The floor of your office or the front lobby of your business has astronomical potential, whether you’re directing traffic, promoting an event or just updating your look, our floor graphics solutions can help! Floor graphics can bring a lot of attention to an event, public area, and more. Imagine a potential customer who is walking in a big shopping mall, minding their business, and then all of a sudden they see a cool, colorful graphic. Within seconds, potential new clients will be able to register and remember the image from the floor. Floor graphics are an effective marketing tool and can be applied anywhere there is a flat surface. Not only are they great for marketing, but the graphics can be customized to promote a special event, or used for corporate branding. Floor graphics are another form of in-store signage, and they offer numerous benefits. Floor graphics are inexpensive, flexible, and easy to use for a short-term promotion. They are also durable enough to serve as longer-term signage. Since floor graphics are easy to install and remove, the cost to print them is relatively inexpensive. Not only do floor graphics save you money, but they also save you time. Decorating with floor graphics can take your promotion or event to the next level. Floor decals, stickers, and custom graphics will not only make your space stand out, but they offer multiple methods to promote branding, messaging, and advertising. Floor graphics are not just limited to the floor, they can also be used on a wall, creating an awesome display. Here the some of the events that floor graphics can be used in. If you are looking for a unique and creative way to commemorate an event or to advertise in a public space, floor graphics are the way to go! Not only can they promote brand awareness and engage new customers, but the graphic can be custom designed. Floor graphics are also versatile as they are easily installed and removed, and graphics can be placed indoors or outdoors. Stand out at your next event with a floor graphic today. 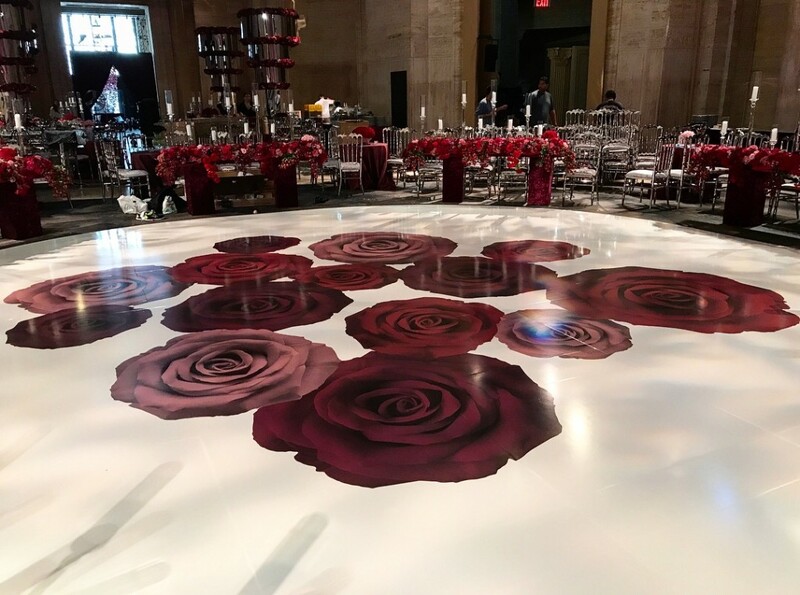 We provide floor graphics printing in Boston, New Jersey, Connecticut, Delaware, Hartford, Long Island, Massachusetts, New York, Pennsylvania, Philadelphia, Rhode Island, Virginia, Washington DC, Westchester, and nearby areas.